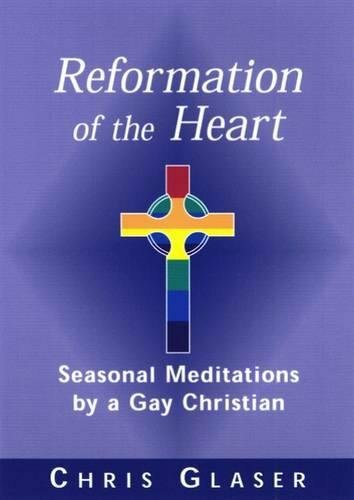 In these meditations for the church year, Chris Glaser continues his tradition of writing meaningful Christian meditations for gays, lesbians, and their families and friends. He begins where the Christian story and calendar begin--with Advent and Christmas, writing about Jesus' spiritual ancestors. For Epiphany, in addition to Christian understandings of the season, Glaser explores Epiphany as unexpected revelation and as manifestations of divinity. In the Lenten meditations, he writes on reformation and the necessity of reforming oneself as one reforms the church. This collection is sure to be an important seasonal resource for many years. In these meditations for the Christian year, Chris Glaser continues his tradition of writing meaningful meditations for gays, lesbians and their families and friends. He begins with Advent and Christmas - as does the Christian story and calendar - writing about Jesus' spiritual ancestors. He explores Epiphany as unexpected revelation and as manifestations of divinity. In the Lenten meditations, he writes on the necessity of reforming oneself as one seeks to reform the church. "Where does one start?" he asks, "With prayer".